So, what is High Concept Sci-Fi Rigamarole?The Rick and Morty pilot is a classic, but you only realise its uniqueness when you watch Jerry and Rick interact. Rick is weirdly likeable and intelligent. His clingy friendship that Rick and Morty have is extremely intriguing. 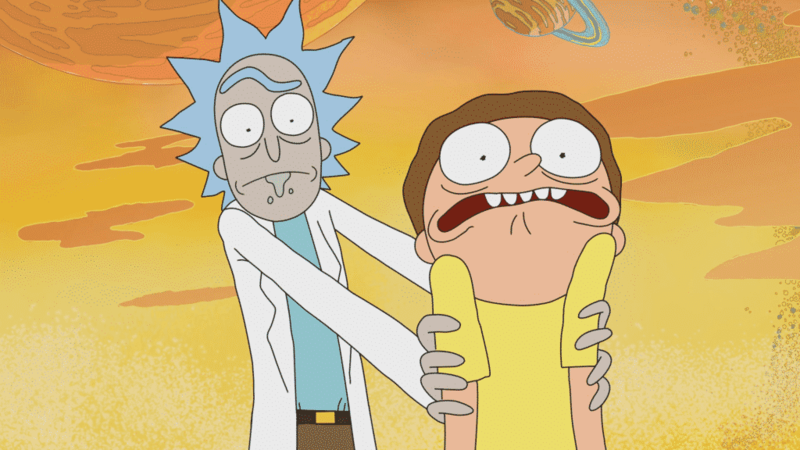 The strange green drool on Rick’s mouth is a bit hard to get used to but then you just stop seeing it by the end of the show. That’s because so much is happening, so much awesomeness is potrayed that you don’t have time to process everything at once. For all you English learners, here are some of the English expressions from Rick and Morty that you might find useful. If you are interested in learning English with this incredible show, you can join the Rick and Morty English Language Marathon. High-concept = having a striking and easily communicable idea. Sci-Fi = short for science fiction. Rigamarole = a long and complicated and confusing procedure. I don’t want to overstep my bound = I don’t mean to disrespect you. You’re the man of the house, you are the boss. It’s my humble opinion. It’s a polite way of expressing your opinion. To do a number two in the toilet. To discharge faeces from the body. A carton of milk = it refers to the free lunches that you get in American schools. A piece of paper = it refers to a hall-pass. A hall-pass is a paper which a teacher signs to give students permission to leave the classroom. Follow this link to try a free lesson of the Rick and Morty English language.